So, it seems like Miley Cyrus is back to country style. Her MTV Unplugged concert last night was strictly Western-themed, complete with a giant wagon wheel, a hoedown, a pantomime horse, twangy singing, and lots and lots of denim. 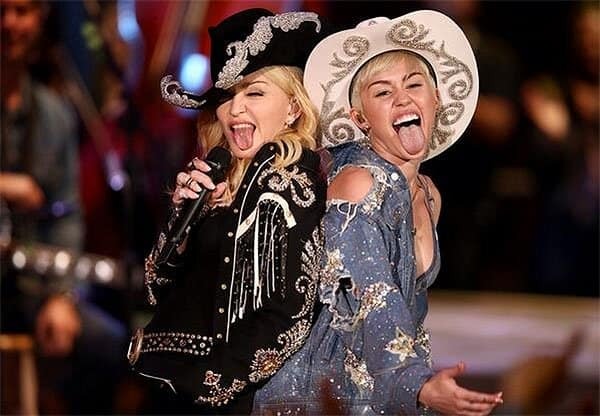 Miley might’ve returned to her Nashville roots for that evening, but, being Miley, she wasn’t able to completely give up her raunchy and racy attention-getting ways. Miley’s MTV Unplugged performance had plenty of skin-baring and a glittering pair of white western boots. 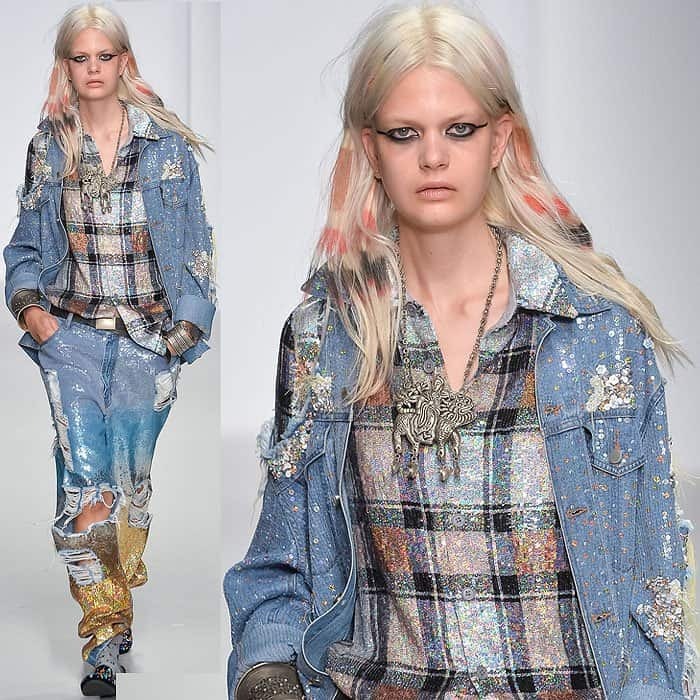 Miley Cyrus in Ashish first got our attention when she wore the label’s strange half-sweatpants and half-jeans creation. Which do you think is more bizarre — those “sweans” or “jweats” or this holey, sequined, and glittery Canadian tuxedo?